Beijing Donghuayuan Medical Equipment Co.,Ltd is one of the top level China integrated machines with double cycling decocting and packaging machines manufacturers and factory with leading company integrated machines with double cycling decocting and packaging machines and meidical equipments and health product NO.1 double cycling decocting and packaging machines with CE, welcome to buy our cheap and famous products. 1.Integrated machine of decoction and packaging. Compact and beautifully designed structure. 3-20 dozes in a pot. 2. 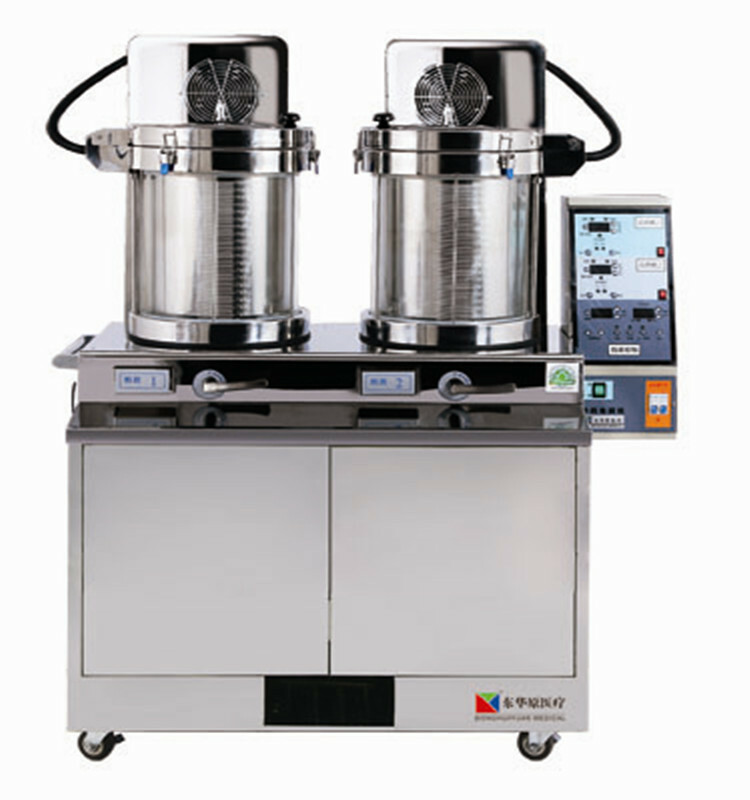 Decoction without steam in normal pressure which can prevent the loss of the active ingredient. 3. Hermetic decoction in accordance with the national management specification of decocting room. Decoction visible. 4. Adoption of digital technology. Easy to operate. 5. Automatic transfer between strong fire and weak fire. Energy and time saving. 6. 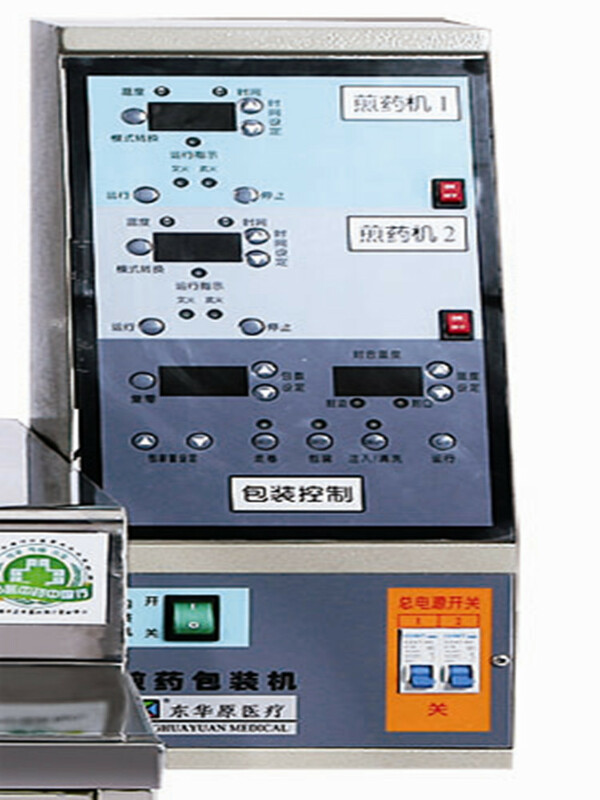 Time for high temperature(boiling time) displayed automatically. 7. The pot has three-layer material with the outside glass, middle stainless and inside porous. The decoction washes the pieces repeatedly between the outside part and the middle part to improve the decoction production. 8. With the function of double cycling of inside liquid cycling and the steam recovery cycling. Liquid cycling is in the liquid pot with high extraction rate and pure taste. Steam recovery cycling is wind cooling outside the pot(using wind condenser). The steam will return to the decoction container after condensation which can fulfill non-lossy and odorless decoction. 9. Automatic packaging. Healthy. Long quality guarantee time. Easy to carry and take. 10. 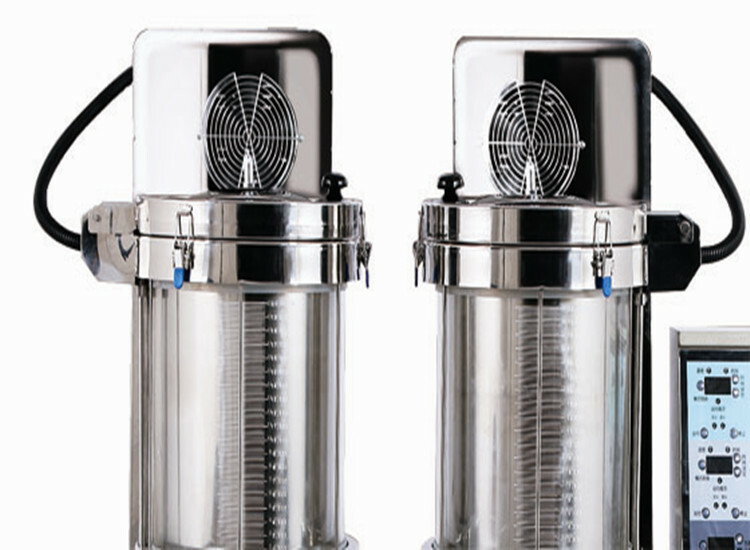 50-250 ML with 1ml variable.Non-polar and adjustable packaging machine. 11. Packaging temperature and volume displayed automatically. 12.Packaging speed of 8 dozes every minute. 13. Register capital of 20 million RMB. Pass ISO9001, ISO 13485 and CE certification. 14. After-sales service guaranteed. Local service achieved with after-sales service agencies in all provinces.